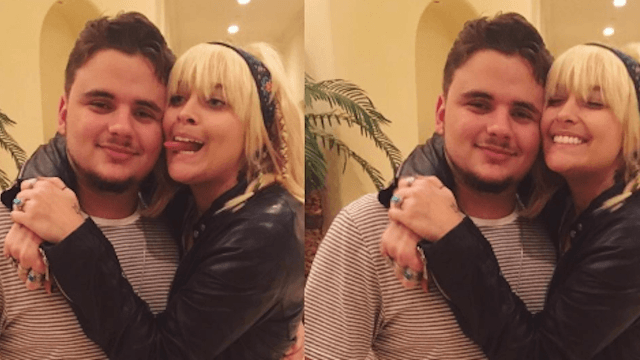 Paris and Prince Jackson got complementary tattoos that only make sense when they're together. Paris Jackson and her big brother Prince just got adorable matching tattoos. Michael Jackson's two eldest children definitely love getting inked, and both have many tattoos in addition to this latest one. Paris, 18, got the yang symbol on the back of her leg, while Prince, 20, got a yin in the same spot. Paris uploaded a picture of the fresh ink onto her Instagram with a sweet message explaining why it was important for her and her sibling to get the complimentary tattoos. /yin/ [in Chinese philosophy] the passive female principle of the universe, characterized as female and sustaining and associated with structure, night, the moon, fluidity, calmness, the earth, darkness, cold, death, and ascends energy. /yang/ the active male principle of the universe, characterized as male and creative and associated with function, the sky and sun, speed, expression, heaven, heat, light, birth, and descends energy. While in the tattoo parlor, Prince also completed a very intricate armor inspired piece that covers his arm, shoulder and chest. So when is Blanket going to be old enough to get in on this matching tattoo action?